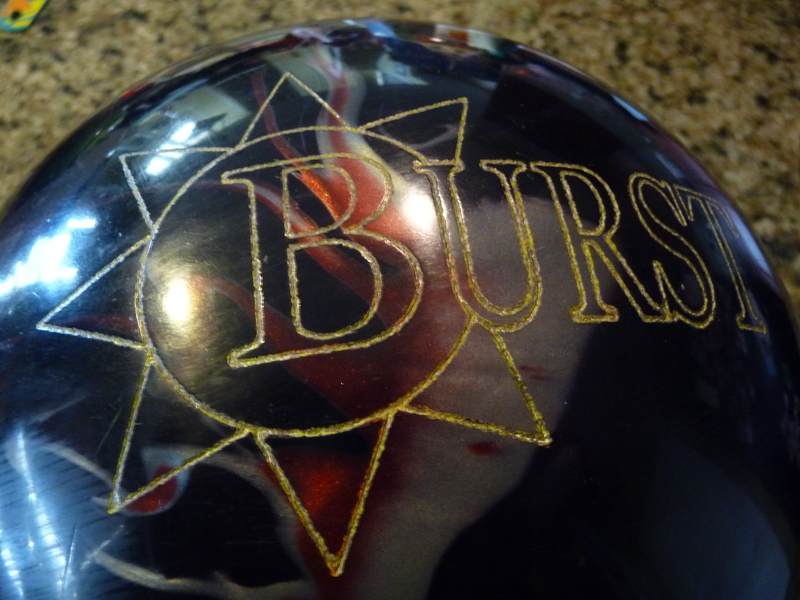 A medium condition ball with good midlane and strong backend that let’s you swing it. I love the way this ball rolls. It has a very unique ball motion. It is an early revving core but still has plenty of backend pop. The pearlized polished cover allows it to go long with ease, which seems to balance the early revving nature of the core allowing a ton of energy retention. If you like to swing the ball, you will like this ball a lot. As a medium priced ball, it is as much ball as anything on the market in any price range. Many of you know that this is a Columbia Resurgence brought back. It was obviously a very successful ball. Although I never personally rolled the original, this ball is obviously something special and worthy of bringing back. Given there is very little if any research involved in bringing a ball back, I expect it to be affordable. The specs on this symmetrical core are 2.46 RG and .040 differential. This is a very early revving core with good strength beyond the midlane as well. This is a much more even rolling core. 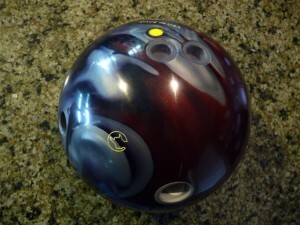 It is in contrast to a relatively flippy core in the Hammer Vibe series I recently reviewed. It is also more continuous than the Vibe core. This core is more round in shape than cylindrical which allows it to turn over pretty smoothly. There is a lot of core strength in this ball. Columbia doesn’t tell us how much pearl is actually in the cover but it looks like there is a decent amount in this shell. The finish is 4000 abralon with polish. All that adds up to a cover that is pretty clean through the fronts. It compliments the core very well. You get a blend of length from the cover and midlane revs from the core. The cover can not handle more than medium volumes in its factory finish. It prefers medium or medium-light conditions and can handle them very well. What it doesn’t like as much is broken down midlanes as the core overrides the cover and forces the ball to read too early. You can definitely play with the surface. The new Outburst comes dulled to 1000 abralon. It’s a slightly tweaked cover, but I imagine if you took the Burst down to 1000 abralon, the reaction would be almost identical to the Outburst. The cover is definitely versatile, but I like the factory finish. 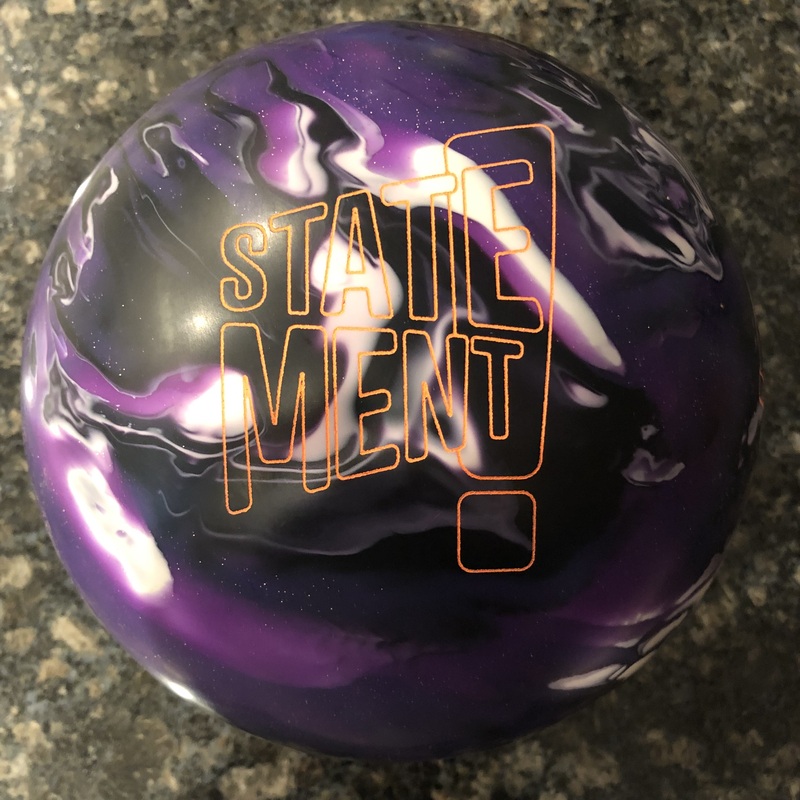 I have really liked the last few balls I have reviewed and this ball is no different. I like the reaction of this ball so much, I find myself trying to use it when I shouldn’t sometimes. 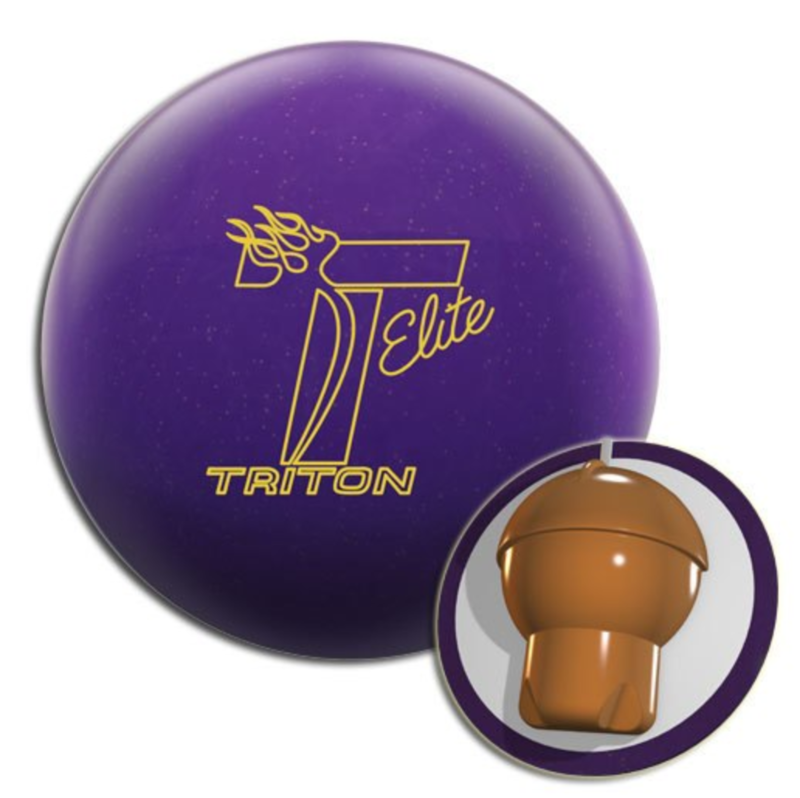 Many of these balls with clean surfaces are not very good on the fresh shots, especially balls with big backend. I find this ball just a tad touchy on fresh shots. 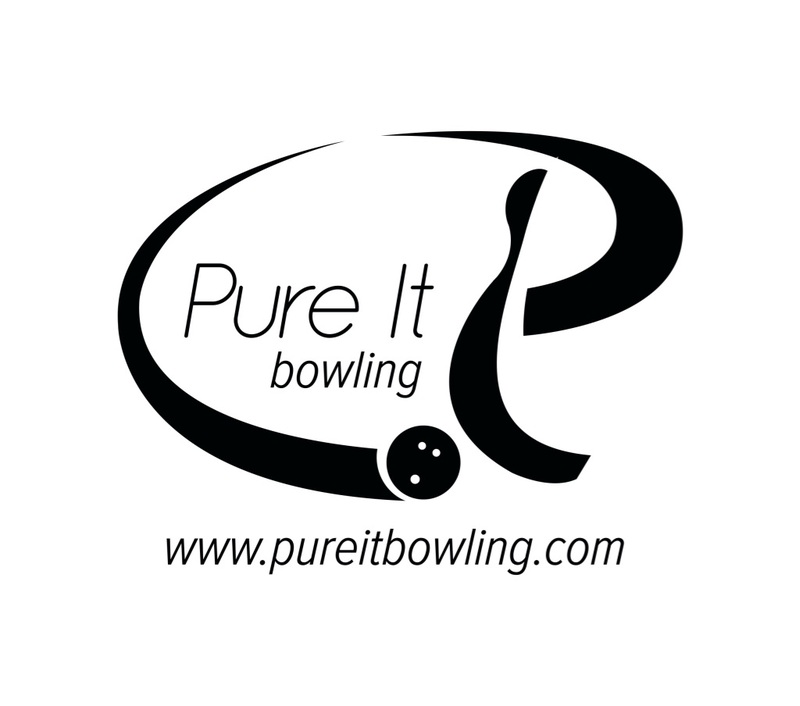 I have duller equipment which is much better in the 1st game after the lanes have been oiled. You can dull this ball down and I’m sure it would be usable on the fresh. Since I prefer the range and versatility of the ball with the polished 4000 cover, I use something else for game 1. 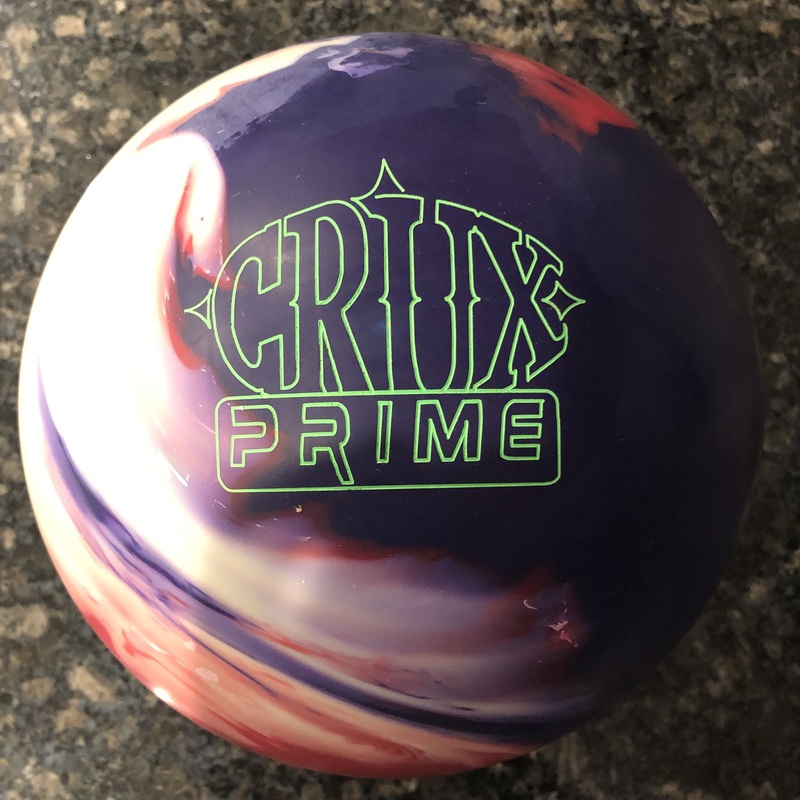 Similar to the Roto Grip Mutant Cell Pearl I recently reviewed, once a game is down, this ball can be pulled out and can be used deep into a set. This ball is unique to everything else I’ve thrown lately in that it is a strong, early revving core, in a cover designed and finished to go long. So you get a rolling, arcing-type shape from a longish, backend hooking ball. You can see the ball rev up in the midlane through those swirly colors. Think of the 3 stages, skid, hook, and roll. This core is beginning to rev while the cover is skidding which actually seems to lengthen the hook period. When the ball finally gets into a roll, it’s pretty far down lane which allows it to be quite continuous through the pins. In contrast to the Midnight Vibe, the Vibe is much more skid/flip like. The Vibe’s cover seems to have slightly less teeth, but the core is more flippy than the Burst and less continuous. The best entry angles seem to be when you can swing this ball a bit. It just seems a little too continuous to throw from more direct trajectories, which may partially be due to the drilling I have. Be careful if there is long or heavy oil as this ball will never hook up in the factory finish. It just doesn’t have the teeth. This is one of those balls where you can keep chasing the oil line deeper and deeper inside and it still has the energy to carry. That is particularly why I like to keep it in the factory finish. Overall 9/10This is one good looking ball and ball reaction. If you like to swing the ball, but like to see a controllable reaction, this is the ball. This is one of the most controllable yet strong backend moves I’ve ever thrown from a pearlized ball. I must admit that this is one ball that is currently in my arsenal, sandwiched between 2 Vibes. For a full review and Digitrax analysis, visit Columbia Burst Digitrax Analysis.